I always like to start off with a good old Before and After shot! When I was sourcing materials for my DIY Framed Mirror in my Bathroom Makeover Project I scored 15 lenghts of baseboard trim for $15 on kijiji from someone with leftovers from a reno project.. 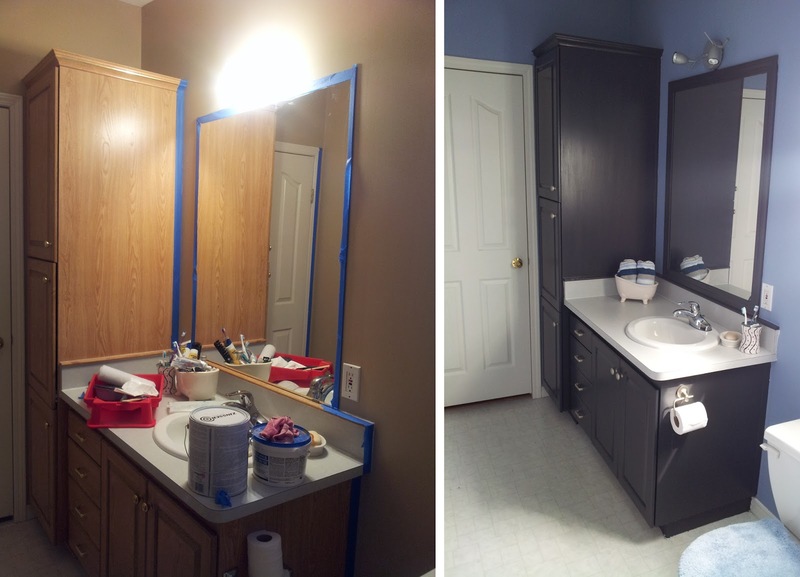 I only used 3 lenths for the mirror trim so I was roaming around my house thinking of other projects I could use this in. For some time I have been pinning loads of ideas on my Pinterest page with ideas for bookshelves for my sons room. 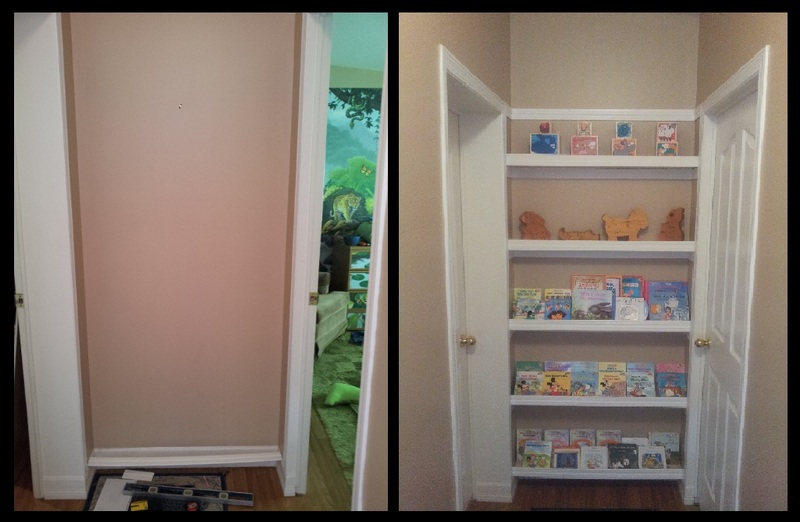 I saw all sorts of ideas, rain gutters, ikea spice racks, ikea picture ledges, and finally some baseboard shelving. There are so many different ways to attach baseboard shelving, and mine is another way but depending on your space one of these other links may help you. Well the makeover to our ensuite has taken almost a month to complete. 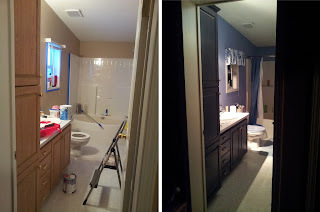 My husband has been very (ok at times not so very) patient with me while I renovated "his" bathroom. The only reason I started this at all is that we had 2 plaster patches on our wall from where a towel bar got ripped off nearly 4 years ago. I decided to use the leftover kitchen paint to finally paint the bathroom, but once the ball was rolling I found that I just wanted to do "just one more thing".